Chinese smartphone maker OnePlus is now rolling out a new OxygenOS update to the OnePlus 3 and 3T smartphones. To recall, OnePlus rolled out the OxygenOS 5.0.7 update to the OnePlus 3 and 3T back at the end of November, but it seems like the company ran into some issues and is now pushing the OxygenOS 5.0.8 update to both the smartphones. That said, this update doesn’t come with any new features as it’s hotfix update. OnePlus says the OxygenOS 5.0.8 update comes with ‘general bug fixes and improvements.’ To recall, the OxygenOS 5.0.7 brought added support for OnePlus Type-C Bullets Earphones and November 2018 security patches. Now, the OxygenOS 5.0.8 update also brings the same features. 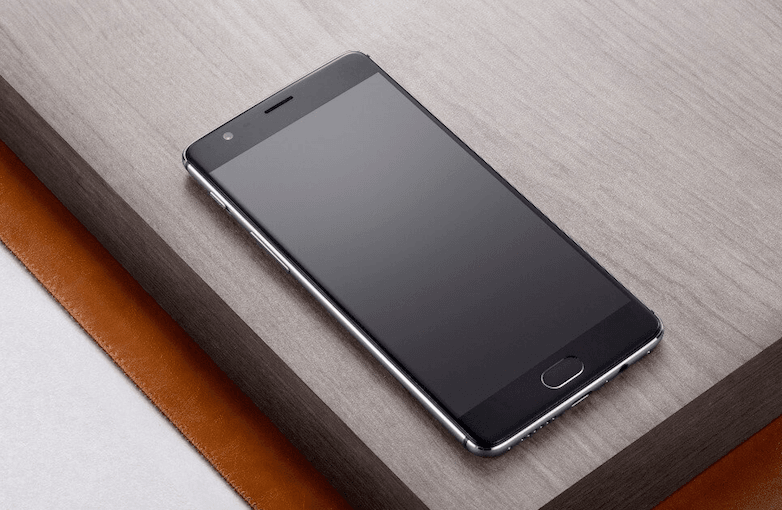 OxygenOS 5.0.8 Update for OnePlus 3, 3T: What’s New? Talking about the latest OxygenOS 5.0.8 for the OnePlus 3 and 3T, it’s built on top of Android 8.0 Oreo and doesn’t bring any of the latest user interface features to the smartphones. Firstly, OnePlus has updated the security patch level to November 2018. 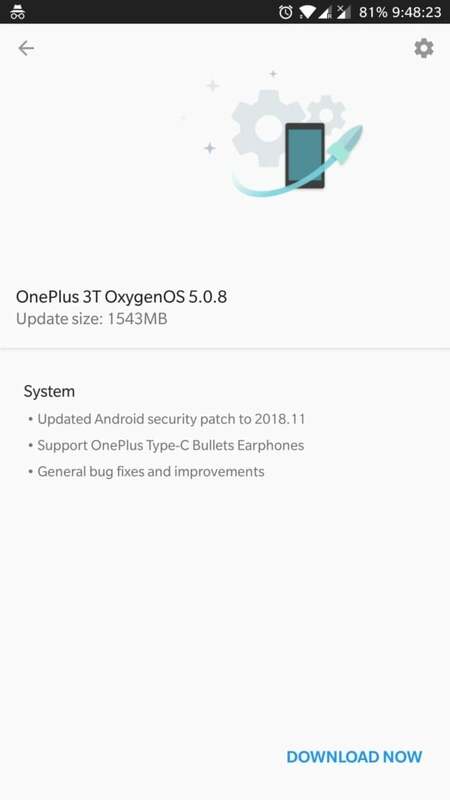 Post the OxygenOS 5.0.8 update, you can use the newly launched OnePlus Type-C Bullets earphones with your OnePlus 3 and 3T as the support has been added with this update. Imagine this instance, the 3.5mm headphone jack on your OnePlus 3 or 3T isn’t working anymore and you’re out of warranty too, then you can purchase the Type-C Bullets earphones at Rs 1,490 and use them with the OnePlus 3 and 3T. Recently, we’ve reviewed the OnePlus Type-C Bullets earphones and rated them the best bang for buck earphones you can purchase right now. But the earphones were not compatible with smartphones such as the Vivo NEX and few others which had a 3.5mm headphone jack. Even some OnePlus 6 users reported that the Type-C Bullets were not compatible with the smartphone. OnePlus is addressing this issue by adding support for the same, starting with the OnePlus 3 and 3T. Lastly, the OxygenOS 5.0.8 update is also said to fix the general bugs which enhances the overall user experience. Aforesaid, the update is being rolled out to users in batches and you’ll receive it in the coming days. OnePlus already announced a great news for all the OnePlus 3 and 3T users out there. The company stated it would provide the latest Android 9 Pie update to both the smartphones, despite they were launched more than two years ago. 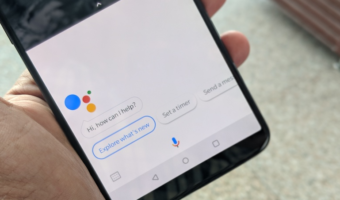 Generally, smartphone brands provide two iterative Android upgrades to their smartphones, but OnePlus is following the footsteps of Google and confirmed that it would also deliver three Android version upgrades to its smartphones. And the policy is applicable to OnePlus 3 and 3T as well. However, it’s unknown when OnePlus will be pushing the Android 9 Pie based OxygenOS 9.0 update to the OnePlus 3 and 3T. 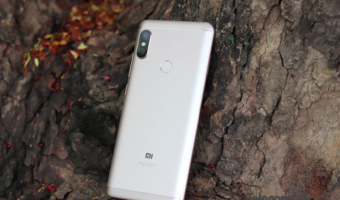 Right now, the OnePlus 6 and 6T are running Android 9 Pie, and very soon, OnePlus 5 and 5T will also receive the update as the company already confirmed already rolled out OxygenOS Open Beta update. OnePlus will rollout the stable update itself directly to the OnePlus 3 and 3T because it already discontinued the Open Beta programme earlier this year. Thank you Chakri. I will keep on updating about such updates. Especially Android One Devices.